Are you ready to experience U4ria? Since its inception in 2008, U4RIA and its talented musicians have been delivering a second-to-none live music experience to festivals, weddings, sporting events, corporate events, clubs, and private parties. Their energetic performance are filled with exuberant showmanship, ample audience participation, and unparalleled professional musicianship. 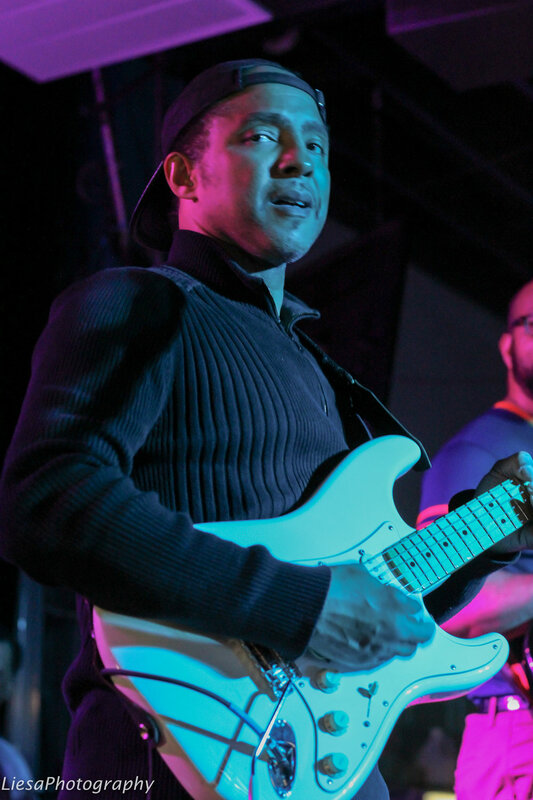 U4RIA's expansive repertoire covers almost every genre (R&B, Soul, Hip Hop, Pop, Rock, Funk, Blues, Reggae, Country, and Zydeco) and decade of music. With such versatility, U4RIA customizes every show to provide the live music experience that leaves a lasting impression on audiences of all ages and backgrounds. Drums / Merrel Porche, Jr.
Sean is an incredibly talented guitarist that has had a love affair with music since he can remember. He was exposed to various types of music at a young age, thanks to his mother who loved all genres of music. He taught himself how to play many instruments, including his beloved guitar. His talent does not end there. He writes and produces his own music, and also writes and performs poetry that is set to original music. Sean has also produced music for numerous plays and commercial spots. A man of many talents, Sean is also an excellent photographer and has worked with many nationally and locally known celebrities. He works in the petro-chemical industry. As the guitarist of U4ria, Sean adds flavor to the band’s sound with his harmonic strings. He also helps arrange the music for U4ria. Sean’s musical inclination is influenced by mostly 70s/80s music, jazz, R&B, rock, and blues. Cypress is a phenomenal singer whose voice is incomparable. When she sings you know it’s her. Her angelic tone is gentle, but when matched with the strength her voice is truly a force to be reckoned with. Cypress was born in South Carolina due to her father being stationed in the Navy there. Her parents met in New Orleans, Louisiana. This is where Cypress was raised a few months after being born. Cypress has had an early fascination in music, but didn’t gain the courage to showcase it publicly until the age of 13. Leading up to her performance debut before her middle school class she joined the choir. Cypress was promoted to advanced choir after her first 6 months in the school chorus. After her peers responded the way they did for her talent show performance she knew this is what she was destined to do. Cypress began to take music very seriously at this time. She never turned down an opportunity to showcase her talent. She sang songs acappella and spur the moment. She sang on a stage before thousands of people. She loves every part of what she does! Throughout high school she began to be known as “That Singing Girl Cypress.” She was even the female senior superlative for Most Talented for Baton Rouge Magnet High School class of 2014. While still in high school, she met a great management team in New Orleans that introduced her to the music business. This is how Cypress began to develop into an artist. Cypress began her college career the fall of 2014 at Louisiana State University. Throughout her three-and-a-half years of being at LSU she got the opportunity to open up for a few mainstream artists. Amongst these include Amine, Tinashe, and the band The Internet. Also during her college career, Cypress had participated in an artist showcase for Universal Republic’s head A&R. During the last month of 2018 Cypress conjoined the band U4ria. With Cypress already making a name for herself, and U4ria being established for nearly 10 years this relationship only made sense for both parties. It’s been history from here! Merrel has always been a fan of music and grew up dreaming of playing the drums. His career as a percussionist began at the early age of seven; he started performing locally just three years later and has since continued performing with various bands. He developed his playing style over the years with mentor and teacher, Troy Davis, a professional jazz drummer. Merrel has also studied various drummers such as Stewart Copeland, Larry Blackman, Sheila E., John Blackwell, and Art Blakey. Another passion of Merrel’s is an engineer, and he is a proud alumnus of Southern University and the University of Texas, where he earned a degree in Civil Engineering and a Masters in Structural Engineering respectively. Today, Merrel is the founder and owner of the MAP DESIGN Group, Inc., a architecture and civil engineering design firm in Baton Rouge. Merrel’s style is one of cool Funk, Jazz, and Reggae, which fits in well with U4ria’s wide range of music. Rani is a passionate board-certified Family Practice and Sports Medicine Physician who uses Hip Hop to communicate with the youth about health. He is involved in various local and national task forces and councils to tackle health and fitness issues, and is also a regular contributor to All Hip Hop, Ebony/Jet.com, EUR Web, and other online and print media. His collaboration with Hip Hop Artist Dee-1 includes a record full of inspirational songs for today’s youth, entitled State of Emergency. Rani’s passion for music drove him to teach himself the bass, with some instruction from friends Eric Johnson, Harry Anderson, and fellow band member, Sean Griffin. Not only does Rani hold down the band with his bass, but he also gives the crowd a taste of his singing and rapping. Rani has been on the music scene for many years and has played with bands such as Code Blue, Full Circle, and Black Ice. Ray has been exposed to music through family and linked to various musical instruments starting at a young age. He began with the drums in the fifth grade and followed with the saxophone in the sixth grade. It was in learning the sax that Ray discovered his passion for music. That passion followed him into high school, where he started to play the piano. 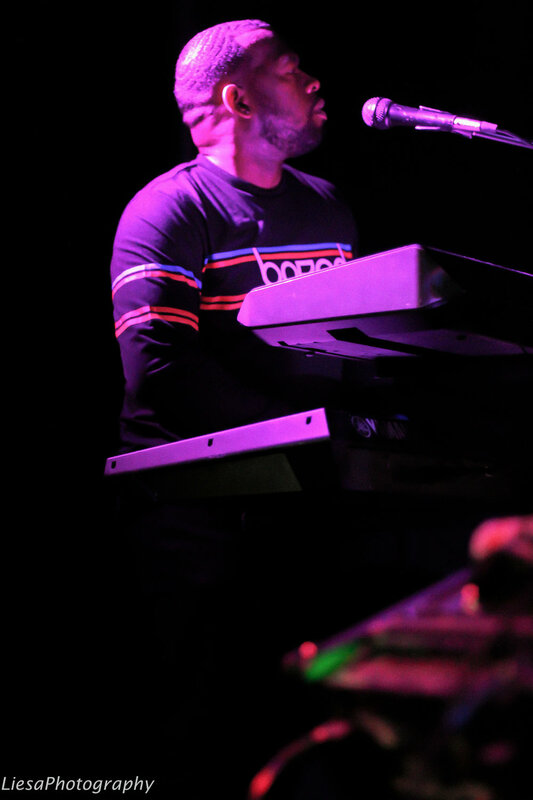 Ray went on to major in music at Southern University and continued his love affair with the piano. When asked why he chose the piano, he said the piano is so expressive; the harmonies that can be made can make you laugh and cry at the same time. It’s like the soul of the band! When Ray is not playing music with U4ria, he is a rail coordinator at Exel Logistics and he also plays music for two churches, Mount Calvary Baptist and New Prospect Missionary Baptist. Juicy Fruit / Juicy - Mtume / The Notorious B.I.G. One More Chance - The Notorious B.I.G.